Take a glance at the Velodrome in the Sky and you might think it to be that fairground classic, the centripugal swing ride. Look closer to find that those are _bicycles_ flying through the air. 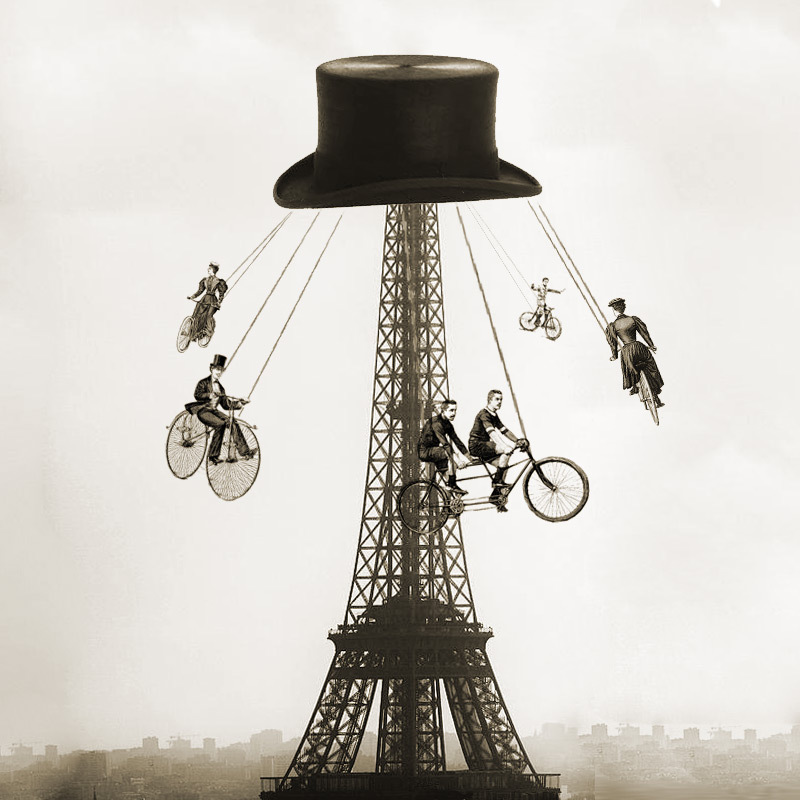 This is probably the safest way to ride a penny-farthing...Great illustration. Making your drivetrain double as the sole load-bearing support means a great deal of torque must be generated just to overcome the resistance placed against the joints. Suspend the gondolas or whatever from chains and use a multisegment drive shaft that supports only its own weight and it will be much easier to turn the pedals. //centripugal swing ride// Ah yes, the one where the riders swing out of control and crash into the support pylon!